"Situated amidst a sea of agricultural land, Riding Mountain rises dramatically from the prairie landscape. Forming part of the Manitoba Escarpment, this 'island' preserve protects a wide variety of wildlife and vegetation areas. The park has numerous hiking trails, and Agassiz Tower overlooks a panoramic view of prairies stretching out to the north. Wasagaming, the park's townsite, offers a full range of visitor services including accommodation, restaurants and shopping." RAIL MAP - RIDING MOUNTAIN NATIONAL PARKWith more than 400 km (250 miles) of trails, Riding Mountain offers a variety of walking and hiking opportunities. Choose from a short walk on one of the self-guided trails, a longer day hike into Grey Owl's cabin or around Moon Lake, or take a multi-day trip into the back country. To ensure that you have a pleasant stay, be sure to boil all water before use (water sources in Wasagaming are potable). You must obtain a permit for camping in the back country of Riding Mountain. For permits call: 1-800-707-8480 or (204) 848-7275 or by visiting the Visitor Centre in person. BACKPACKINGThe best way to experience the park is by spending a night or two camping out under the stars. The park's habitat varies from the rugged gorges of the east side of the park to the tall evergreens of the Central portion to the meadows of the western portion. Trail surfaces vary from partially gravelled patrol roads to grassy trails. Wet conditions may be encountered, particularly in the spring. Flooding on the trails, caused by beaver dams, is occasionally a problem. To ensure that you have a pleasant stay, be sure to boil all water before use (water sources in Wasagaming are potable). You must obtain a permit for camping in the back country of Riding Mountain. For permits call: 1-800-707-8480 or (204) 848-7275 or by visiting the Visitor Centre in person. BIRD WATCHINGManitoba is home to many unique species of bird, and the Riding Mountain Area is a haven for casual or serious birders alike. Birdwatching in the Riding Mountain Area BOATING Manitoba is the land of 100,000 lakes and the Parkland area has many large lakes for boating, skiing, wakeboarding or tubing - as well as many smaller lakes for canoeing and kayaking. Ski, sail, pontoon, fishing, canoe, kayak and paddle boats can be rented on Clear Lake at the Marina on Clear Lake - located in the Wasagaming townsite, on the Main Pier. Motorized boats are allowed on Clear Lake, Lake Audy and Moon Lake. Boat launches are found on Clear Lake and Lake Audy, while boats and motors must be carried 300 metres (1000 feet) at Moon Lake. Only non-motorized watercraft are allowed on Deep Lake, Lake Katherine and Whirlpool Lake, and all back country lakes.CYCLINGMountain biking is growing in popularity in the park due to the partially gravelled patrol roads found in the western and eastern portions of the Park. Trails vary in difficulty from the easy gently rolling trails of the Central, Baldy Lake and Strathclair trails to the rugged and extremely hilly Packhorse, Jet and Baldy Hill trails. Other back country trails are acceptable for biking, but most day-use trails are off-limits to biking. To ensure that you have a pleasant stay, be sure to boil all water before use (water sources in Wasagaming are potable). If camping in the back country, you must obtain a permit for camping in the back country of Riding Mountain. For permits call: 1-800-707-8480 or (204) 848-7275 or by visiting the Visitor Centre in person. DINING Within the Wasagaming area there are many different types of dining experiences, from fine dining to deli food. Enjoy a chicken salad sandwich overlooking the beautiful Clear Lake Golf Course, a great appetizer and a glass of wine before a daily special at the historic Wig Wam Restaurant, a quick panne sandwich at the Deli or a huge piece of gourmet pie and a cappicino at the Siesta Cafe - there is something for everyone. FISHING The lakes of Riding Mountain National Park are open for fishing. Clear Lake, Lake Audy, Moon Lake and Whirlpool Lake offer great northern pike fishing. Other fish species include walleye, white fish and perch in Clear Lake, while Lake Katherine and Deep Lake have a limited number of rainbow and brook trout. Winter or ice fishing is allowed on Clear lake for most of the winter. A national park fishing licence is required, and may be picked up in Wasagaming or in surrounding towns. Information on locations for purchasing fishing licences, fees and limits are available by calling 1-800-727-8480 or (204) 848-7275, or by visiting the Visitor Centre. GOLFING• Clear Lake Golf Course, with lush fareways, manicured greens, natural landscape, challenging holes and a spectacular setting - it is one of the finest 18-hole golf courses in North America. Reservations are recommended and can be made by phoning (204) 848-GOLF. • The new 9 holes of Lakewood Hills Golf Course is minutes away in Onanole. 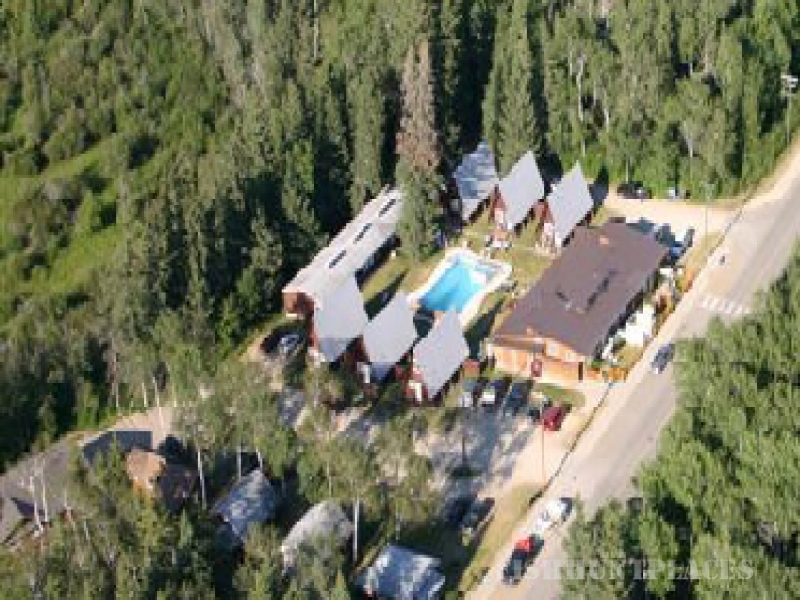 • The Elkhorn Resort has a nice, well maintained, short 9 holes at the Resort, just outside the Park. HORSEBACK RIDING Horse use is allowed on most back country trails, allowing for an experience you won't likely forget. If you do not have your own horse and equipment, contact one of our many local outfitters for numerous choices of riding experiences. If you have your own horses check out information on trails to see where you can go riding for a day trip or even overnight. The main trails used by horseback riders include the South Escarpment trail, North Escarpment trail, Ochre River trail and Central trail area. To ensure that you have a pleasant stay, be sure to boil all water before use (water sources in Wasagaming are potable). You must obtain a permit for camping in the back country of Riding Mountain. For permits call: 1-800-707-8480 or (204) 848-7275 or by visiting the Visitor Centre in person. LEARNING EXPERIENCESLet your visit to RMNP be an opportunity for unique learning experiences. During the summer season, the park presents a variety of programs – everything from car caravans and guided hikes to campfire programs and evening programs. The park also offers special programming for schools. Other organizations offer programming as well, including the Annishinabe Village, and Friends of Riding Mountain National Park (our co-operating association). Finally, the Riding Mountain Historical Society maintains the Pinewood Museum at 154 Wasagaming Drive. NIGHT LIFE Whether your looking for a cold beer overlooking the beach, a live band or some dance music, there is something for everyone in the Wasagaming area. The Wig Wam Lounge offers insie and screen patio seating and live music and DJ's throught the summer, the Beach Club (at the pizza place) has Jam Nights and dancing for the younger crowd, the Elkhorn has a nice lounge with a great outdoor patio and the Soutgate (just outside the park) has a lively bar / club scene, and the World Famous Danceland has dances on weekends throughut the Summer. SCUBA DIVING For those who prefer the underwater view, the crystal spring waters of Clear Lake provide ample opportunity for scuba diving. The deepest point in the lake is approximately 34 m (112 feet) deep. Divers are asked to register for their dives by contacting the Park prior to using the facilities set up for divers at Glen Beag day-use area. SWIMMING Clear Lake, with its sandy beaches and clear water, is the most popular spot for swimming. The main beach area in Wasagaming has change rooms and washrooms, as well as outdoor showers. There are numerous other spots for swimming around the lake as well. Other lakes used for swimming include Lake Katherine, Lake Audy and Moon lake. Most other Park lakes have muddy bottoms, but swimming is possible. Please remember that all swimming areas are unsupervised. Finally, swimmers itch, a small parasite that causes itching and irritation, is found in most park waters. Simple precautions of coating your skin with mineral or cooking oil, or rubbing skin vigorously with a towel following swimming should prevent any complications. TENNIS For the sport enthusiast, six courts await you at the Clear Lake Tennis Courts. These feature an excellent up-to-date playing surface. Lessons are available for all levels. You can join in on a friendly open-mixer or some of the seasonal tournaments. Reservations are recommended and can be made by calling 848-2649. VIEWPOINTS With the Riding Mountains climbing 300 metres (1000 feet) above the surrounding plains, great viewpoints are easy to come by. From Agassiz Tower situated on Hwy #10, look out over the town of Dauphin or catch a sunset. Along Hwy #19, one km (0.6 mile) east of the Dead Ox Creek picnic site, gaze out on the Manitoba plain ... perhaps you will see Lake Manitoba in the distance. Finally, on the bicycle path at the end of Wasagaming Drive, watch as Clear Lake's waters change from various hues of blue through green. WILDLIFEBison Range: Driving tours of the Bison (Buffalo) enclosure will bring you close to over 40 of these once endangered giants. Lake Audy Road - North West of Clear Lake - ask at the Visitor Centre for more information. Moose, Deer, Elk: The park is home to all of these large animals. Most can been seen from designated trails and lookouts. Black Bears: The park was once home to the largest black bear ever recorded (over 800lbs), and the shy buy unpredictable black bear lives happily around the parkland. Coyote, Wolf and the Lynx: The cry of the coyote can be heard regularly in the quiet of the night. While the howl of the wolf is less frequent - it is much more haunting. The elusive lynx (bobcat), cousin of the mountain lion, is at home in the carniforous vegetation of the park.